It is a known fact that Xiaomi’s foldable phone is under development, while it is not confirmed, but the company might showcase the first-gen foldable phone at the MWC 2019 event later this month and eventually roll out in the latter half of 2019. Lin Bin, co-founder and CEO of Xiaomi, has published a video showing a prototype of the bendable smartphone. Xiaomi’s foldable display has a very unique design that can be folded twice. The display is on the outside and is folded around the housing. The company notes that the manufacturer has already overcome several technical problems, such as the flexible display, the folding mechanism, and the MIUI adjustment. The symmetric double folded design perfectly combines the experience of the tablet and a mobile phone, which is both practical and beautiful, according to the CEO. Xiaomi is considering two names of the prototype; Xiaomi Dual Flex and Xiaomi MIX Flex, however, it is still open for suggestions. Following the recent developments, Xiaomi has confirmed that the phone is currently being tested in the lab, and there are currently only a handful of prototypes available. The design, folding mechanism and the MIUI user interface adjustments have been developed by Xiaomi itself. While the flexible folding screen is developed in cooperation with a partner. Xiaomi at the MWC 2019 event will showcase the 5G version of the Mi MIX 3 and other phones that are making the news. The double folding smartphone is the latest innovation by Xiaomi. 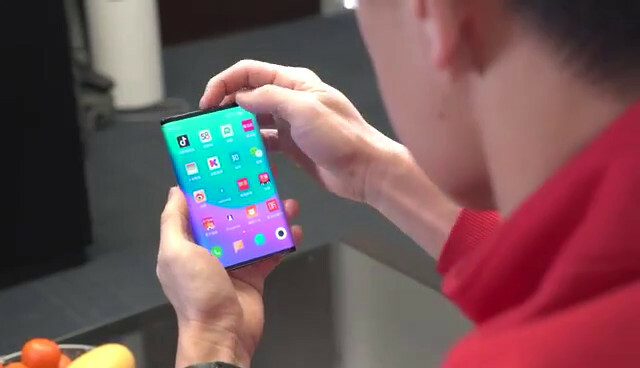 One of the key components of the phone, the flexible folding screen, is co-developed by Xiaomi and its supply chain partner. Aside from the screen, its design, folding mechanism and MIUI adaptation are developed by us. Xiaomi is first in the world to present a double folding smartphone and has the same technical challenges posed in its three different form factors – double folded, single folded, and tablet form. Prior to finding the best solution, Xiaomi has conducted extensive research into the development of a robust folding mechanism. Each innovation is the result of joint, cumulative R & D efforts from supply chain partners and the device manufacturer. It is misguided to think a folding screen can be easily turned into a folding smartphone without significant breakthroughs in technology. Each segment of the industrial chain has a unique contribution. Xiaomi believes that innovative products and great user experience are possible with sound collaboration and participation from all parties.